This time on Across The Peak Rich, Ky, and I tell you how to be the ultimate recycler and refill your own beer bottles! Be advised: this is a VERY brief history of beer. But first, what is beer? Beer is basically the result of live fauna (yeast) eating sugar from malted grains and pooping alcohol and CO2. The production of beer is closely tied with the domestication of cereal grains. No one knows what came first - beer, or bread, but it is undeniable that they are very closely related, and one probably led to the other. No history of beer should omit discussing the Reinheitsgebot, Germany’s famous beer purity law and the first ever consumer protection law. It was adopted in Munich in 1487. It decreed that anything sold as “beer” could only contain three ingredients: water, barley, and hops. Yeast should have been on that list (and is on most such lists today) but was not mentioned because its role was not understood yet. Fresh hops on the vine. Federal Laws: homebrewing was criminalized during prohibition. In October of 1978 Jimmy Carter re-legalized homebrewing of beer. Under current federal law an adult can brew 100 gallons of beer per year. We consider out patriotic duty to brew the max allowable under law! Most states permit you to brew 100 gallons/year per adult in a household, but Connecticut limits homebrewers to 50/100 gallons. Many states limit alcohol by volume or alcohol by weight (ABV/ABW). 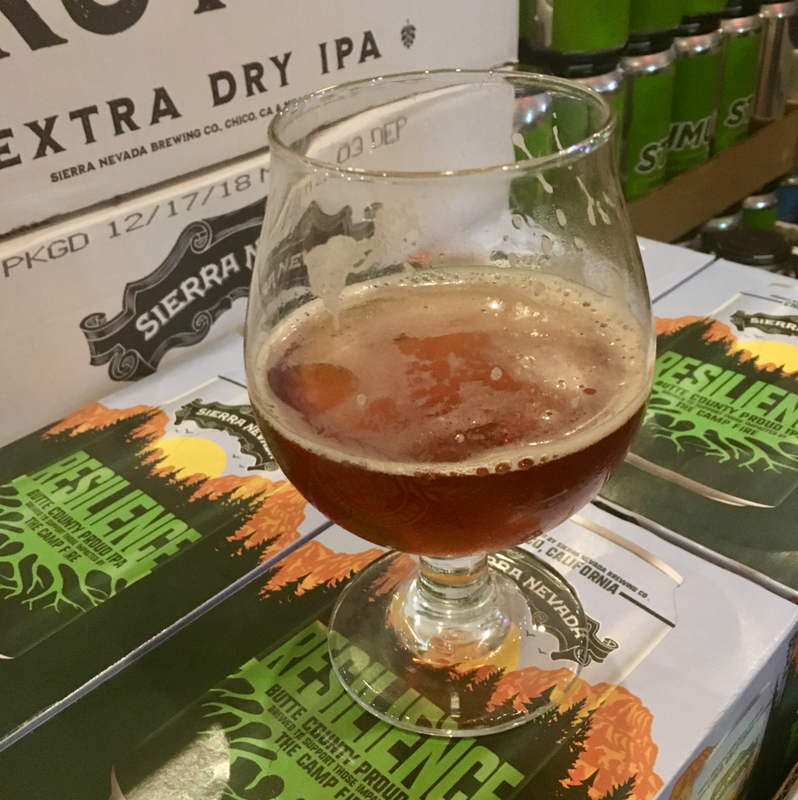 Brewers in Idaho have to use "native grown" ingredients. Utah didn't legalize homebrewing until 2009, Oklahoma until 2010, and Alabama and Mississippi until 2013. Even if brewing is legal in your state, it is still illegal in "dry" counties/towns. It is not that difficult. If you have a stove and can read a recipe, you can brew beer! Contrary to popular opinion, homebrewing doesn't take up a ton of space. Justin & Ky do it in a 750 sq ft apartment! Homebrewing is not that expensive. Startup cost ~ $100 for a basic kit to $250 for a slightly nicer kit. HOMEBREWING EQUIPMENT: You will need some gear to brew beer at home. As we mentioned earlier, it doesn’t cost a fortune, but we recommend investing in good gear that will last. Basic Equipment: All of the items on this list are must-have. Fermentation Vessel(s): These can be 6-gallon buckets with a sealing lid, or glass carboys, which are essentially large (5 to 6.5 gallon), narrow-mouth glass bottles. Carboys will cost a bit more than buckets but allow you to watch the process in action. Air lock(s). These one-way valves allow CO2 to be released from the fermentation vessel, but keep outside air from getting in. Brew pot (4-5 gallon pot). This pot will be necessary to boil your wort (the stuff that yeast turns into beer). Thermometer: Brewing day requires you keep the wort within certain temperature ranges. This is impossible to do without a brewing thermometer. Bottle Capper: You have to have a way to bottle your beer. This simple tool will let you cap beer bottles with a pop top (non screw top). Auto Siphon: This is used to move beer from carboy to carboy, or carboy to bottling bucket. It’s also used to move clean water and sanitizer. Desirable Equipment: Though you could technically probably home brew without these things, having them makes like much, much easier. Bottling Bucket: This is a bucket with a spigot at the bottom. When used in combination with a bottle filler it greatly simplifies the bottling process. Bottle Filler: this wand connects to the bottling bucket via 3/8” plastic tubing. 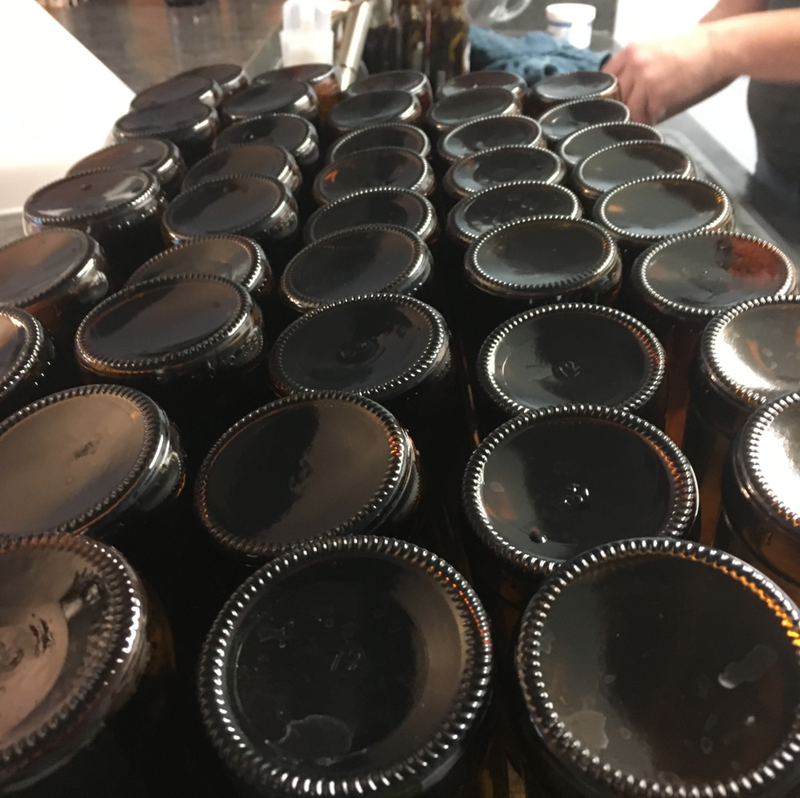 On bottling day you put the filler in the bottle and depress the spring-loaded tip When the bottle is full just release pressure on the tip and the flow stops. I have definitely bottled without one of these, but like I said above it certainly makes life easier. Auto Siphon and Hose Clips: These inexpensive items make a world of difference; they let you “set it and forget it” when transferring beer, preventing you from having to stand there the whole time. Hydrometer. This tool allows you to gets the gravity of your beer. This lets you make an accurate calculation about your beer’s alcohol content. Wort Chiller: One of the steps in the brewing process is to chill your wort as quickly as possible. A wort chiller definitely makes this easier, but is not strictly necessary. Note: Ky and I really like the Northern Brewer Deluxe Kit. It comes will all of the stuff mentioned above, (minus the brew pot) plus a bunch of extra stuff, and your first recipe kit. All you need to add is a brew pot, water, and bottles and you’re on your way! If you’re on a tight budget, check out the Northern Brewer Kit with plastic fermenters; it comes in at about half the price. If you don’t want to buy a kit, you can buy everything piece-by-piece but we don’t think you’ll save a ton of money like this. There are two major "routes" you can take then brewing at home. Each has its advantages and disadvantages. All grain brewing. This is the most complicated, but the most pure form of brewing. With this form of brewing you extract all the fermentable sugars from milled whole grain. The pros to all-grain brewing are that you have complete control, you can easily build your own recipes, and the satisfaction of knowing you’re doing it “the hard way”. The cons are that it requires more, and more expensive equipment, is more time consuming, and is far less forgiving. Extract brewing: This is sometimes considered brewing with “training wheels” of brewing. Instead of extracting all the fermentable sugar from whole grain, most of it has already been extracted for you and is sold as a bottle of syrupy liquid. Extract brewing has some serious benefits. It has much cheaper startup cost, takes less time on brew day, and is much much more forgiving. Ingredients are a bit more expensive, however. Ky and I do extract brewing and assume that most of our listeners will begin with this form of brewing. You will need ingredients for each batch of beer that you make. Usually ingredients come in “kits” with everything you need to make a particular brew. We get our kits from one of two sources, listed below. If you have a homebrew supply store near you, they can also probably provide ingredient kits for you. Northern Brewer: If you’re buying a kit online, we have been incredibly pleased with NothernBrewer’s products. Many of Northern Brewer’s kits are also available on Amazon.com. The ingredients in an amber ale kit from Northern Brewer. Brewer’s Best: Our other source of ingredient kits is Brewer’s Best. We can usually find these kits at our local homebrewing supply store, and some are available on Amazon.com. Ingredients from a Brewer’s Best dunkelweizen kit. Malted Barley in the form of “liquid malt extract” (LME) or “dry malt extract” (DME). This is the extracted sugary syrup from malted barley. Both of the kits above contain both LME and DME. You will also notice that both of these kits have some milled whole grain in them. They are included in extract-brewing kits to add some flavor and body to your beer. Hops are a universal ingredient in beer. The hops for your brew will come in your kit. Sometimes your brew may call for several different kinds of hops, all to be added at different stages in the process. Make sure to read the full recipe before you begin! Yeast is necessary for the conversion of sugar into alcohol and CO2. Yeast sold in recipe kits is generally dry, pelletized yeast. Yeast may also come in liquid form, especially if you are buying it from your local homebrew shop. The strain of yeast you get is pretty important as yeast has a big impact on the final outcome of your brew. Water. You will have to provide this one for yourself. Remember - the better your water is, the better your final product will be. If you water has heavy chorine of flouride flavors it might be worth spending $5 on five gallons of water from the grocery store. Now let’s talk about the process of actually brewing beer! Brewing day is by far the most involved day in the process of making beer. You should expect to spend about three hours, start to finish. Sanitize, sanitize, sanitize. Sanitizing all your equipment and everything that will touch your young beer is important to ensure that it doesn’t get an infection. Your wort (the soup that turns into beer via yeast) is a warm, sugary liquid that is an ideal place for bacteria to thrive, so make sure you don’t skip this process. We also keep some water/sanitizer mix close by in a bucket to sanitize things as they come up through the process. We have used two sanitizers: Star San and One Step. We greatly prefer the One Step stuff because we find it easier to work with. Steep the flavoring grains. Your extract ingredient kit will come with some milled whole grains and a cheese cloth satchel. First, put your brew pot on the stove with 2.5-3 gallons of water. Get the water up to ~160 degrees. Put the grains into the satchel and steep them for 20-30 minutes. DO NOT EXCEED 170 degrees during this process. Bring water to a boil and stir in LME/DME. Once the flavoring grains are finished steeping, remove them from the pot and let any remaining liquid drain out. Bring the pot to a boil. As soon as it is at a hard boil, stir in your malt extract. This mixture is now officially called “wort”. Bring the wort to a boil. 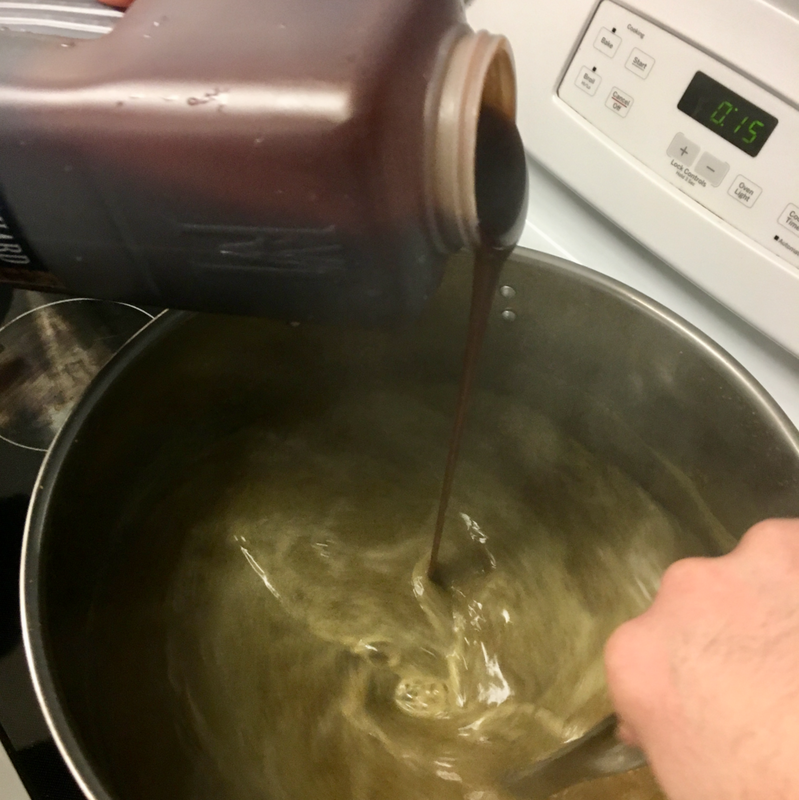 Once the wort is boiling, you will generally keep it boiling for one hour. Follow your recipe instructions precisely; you will add hops at some point during this process. If you are adding spices, sugars (like brown sugar or honey) to the brew, it will usually happen during the boil. Cool the wort. Once the boil is finished, the next step is to cool the wort to 100 degrees as quickly as possible. We fill our bathtub with four or five bags of ice, some salt, and water and put the brew pot into it. Ky stirs the wort while Justin keeps the water in the tub circulating. Add to fermentation vessel along with water. Once the wort is cooled, add it to your fermentation vessel (carboy or bucket). Add water to bring the total volume up to the recipe’s specifications (usually 5 gallons). Pitch yeast. Once the wort is cooled and diluted with water, it’s time to add the yeast. This is called “pitching the yeast. Aerate. Once you’ve pitched the yeast, give the carboy a vigorous shake to make sure it’s well mixed into the wort. Now put an airlock in your carboy, and move on to the next step! Watch it to make sure some good activity is happening during the first 96 hours. During primary fermentation you also want to monitor your fermentation vessel for signs of a “blowout”. This occurs when large amounts of particulate matter get pushed up into the air lock and clog it. Pressure builds behind it until it “blows out” of fermentation vessel, usually with a lot of wet, sticky matter behind it. If a blowout is imminent (or happens) you can replace your airlock with a blowout valve, which I’ll discuss at some point in the future. This is our carboy that suffered a blowout. If you see this kind of matter forming on top of the foam and getting close to the airlock, a blowout is probably imminent. Secondary fermentation is a refinement stage. This gets your beer out of the primary container which contains a ton of particulate matter. Secondary fermentation gives it a chance to clarify and for flavors to smooth out. During this period the yeast are still active; when this period ends the yeast are alive but have exhausted the fermentable sugars in the wort (which is now beer). Secondary fermentation is also where you will typically add flavoring additives like vanilla or coconut or…well, whatever you’re adding to your batch of beer. To get your beer from primary fermentation to secondary, you’ll have to “rack” it to a new fermenting vessel using a racking cane (siphon). You definitely need to make sure everything that will touch the beer at this point has been sanitized. Once you have racked the beer, put a sanitized airlock in the carboy and let it sit for another two weeks. A beer in primary fermentation (left) and secondary fermentation. Notice how much cleaner the batch in secondary appears. 48-52 bottles. You can get these for "free" by saving/cleaning your own, but stay on top of cleaning them, well before bottling day comes! Labels. You can purchase labels, but even masking tape will work. At a minimum you need something to remember which batch is which. Now let’s talk about the bottling process! I hate to beat this dead horse any more, but…make sure everything that touches the beer is sanitized! First, boil a pint of water and add your priming sugar to it to dilute. Once the sugar is diluted take it off the heat and cover it. Rack your beer into your prepared bottling bucket (sanitized, spigot attached, etc.). Add the priming sugar/water mixture to the beer and stir it in thoroughly. Add beer to the bottles. Cap the bottles and label them. Refrigerate. If it doesn't taste great, let it sit for another week...or three and try again. Cooked: A Natural History of Transformation, by Michael Pollan. This is one of Justin’s ABSOLUTE FAVORITE books. He has purchased at least a half a dozen copies to give away to friends.